For the culturally curious tourist, a trip to Miami can mean much more than sun, sand and nightlife. World-class art shares a place in the sun at some of the city’s hottest spots. So put on your jogging shoes, find the perfect cappuccino, shop, or relax poolside, and enjoy some of Miami’s most recent acquisitions. 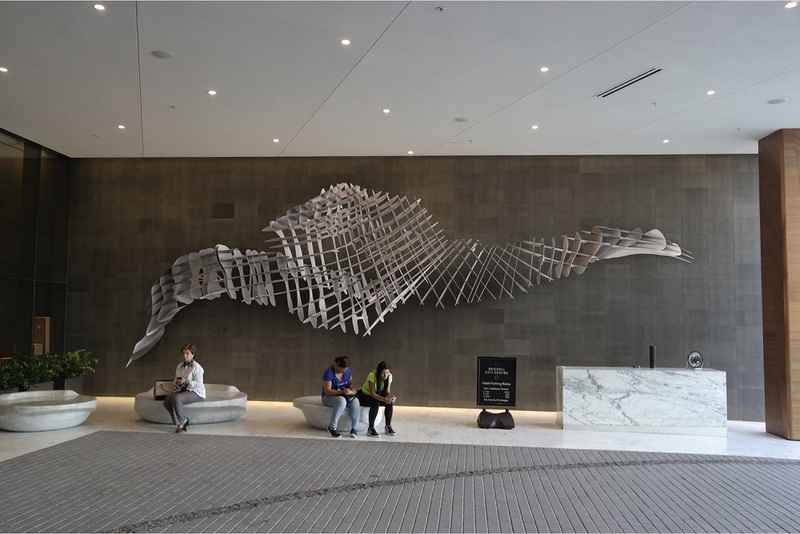 Climb the steps from the park to the entrance of the Pérez Art Museum Miami to see Jesus Rafael Soto’s Penetrable. The work is a long-term loan, and is one of the sculptures exhibited outside of the museum. Soto is considered to be a significant contributor to the kinetic and optical art movement. 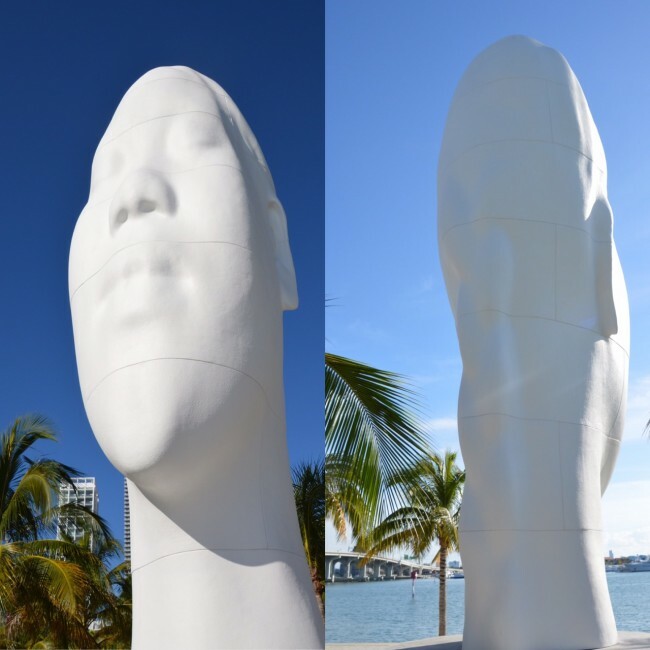 The viewer will be able to immerse themselves between long, flexible plastic tubes, becoming one with the artwork while enjoying 360 degree views of the museum grounds, downtown Miami and Museum Park. 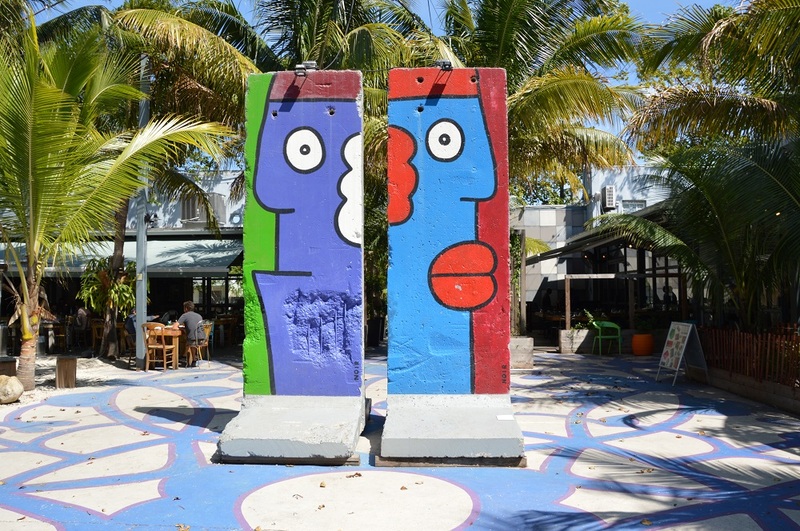 Head north to Miami’s Little River District and enjoy a coffee on the terrace of Ironside Kitchen Pizza & Café, which overlooks two segments of the Berlin Wall repainted by Thierry Noir during Art Basel Miami in 2013. In 1984, Noir painted over one kilometer of the Berlin Wall while dodging authorities. His work was meant to protest the wall’s existence rather than beautify it. His simple lines and basic yet vivid color scheme made it easy for him to paint quickly and avoid arrest. This became Noir’s trademark style and he is considered a key contributor to the modern street art movement. A little further northeast, Jeff Koons’ Seated Ballerina is a stunning centerpiece located on the pool terrace of the Oceana Bal Harbour Condominium. Although seated, the sunlight reflects and dances off the sculpture’s mirror-polished stainless steel, which has been painted with transparent colors. Visible from Collins Avenue, Koons’ Pluto and Proserpina majestically stands in the breezeway between Oceana’s two buildings. Both works were purchased by Eduardo Constantini, Oceana’s developer and founder of the Museo de Arte Latinoamericano de Buenos Aires. Discover luxury shopping and fine dining destinations at Miami Design District—a neighborhood committed to the fusion of design, fashion, architecture and art. Le Corbusier can be found on the second level of the outdoor retail promenade. It is a tribute to architect, designer, painter and city-planner Charles-Édouard Jeanneret, better known as Le Corbusier. The fiberglass sculpture was originally on top of one of Le Corbusier’s most famous buildings, Cité Radieuse located in Marseille, France. The Design District hosts a variety of events for all ages as well as an outdoor local produce and specialty foods market, every Wednesday from 3:00 p.m to 8:00 p.m.